What types of healthy meal delivery options can you recommend for seniors who live at home, but don’t cook and don’t get out much. Since mom passed away, my dad’s diet is terrible and I worry about his health. There are various healthy meal service delivery options available to non-cooking seniors who live at home, but what’s available to your dad will depend on his location and budget. Here are several to check into. A good place to start is to find out if there’s a senior home delivery meal program in your dad’s area. Meals on Wheels is the largest program that most people are familiar with, but many communities offer senior meal delivery programs sponsored by other organizations that go by different names. To find services available in your dad’s area, visit MealsOnWheelsAmerica.org, which offers a comprehensive directory on their website, or call the area aging agency near your dad. Contact the Eldercare Locator at 800-677-1116 to get the number. Most home delivered meal programs across the U.S. deliver hot meals daily or several times a week, usually around the lunch hour, to seniors over age 60 who have problems preparing meals for themselves, as well as those with disabilities. Weekend meals, usually frozen, may also be available, along with special diets (diabetic, low-sodium, kosher, etc.). Most of these programs typically charge a small fee (usually between $2 and $6) or request a donation, while some may be free to low-income seniors. Another option that’s a bit more expensive is to purchase your dad’s meals online and have them delivered to his home. There are a number of companies that offer this type of service like Magic Kitchen (magickitchen.com), Home Bistro (homebistro.com), Personal Chef To Go (personalcheftogo.com), Good Measure Meals (goodmeasuremeals.com), and many others. These companies offer a wide variety of tasty meal choices, and will usually post the nutrition information for their meals right on their website. Most companies will also cater to a host of dietary and medical needs, such as low-sodium and low-carb meals, diabetic meals, gluten-free, dairy-free, and vegetarian options. Most of the food arrives frozen, but a few companies ship food fresh. Prices generally start at around $10 to $13 per meal, plus shipping, however most companies provide discounts or free shipping when you order meals in bulk. Depending on where your dad lives, he may also be able to get home delivered meals from local grocery stores or restaurants. Some grocery stores offer a selection of pre-cooked meals and foods, including roasted chicken, mashed potatoes, and fresh soups and salads. Contact the grocery stores in your dad’s area to inquire about this option. Or check with some of his favorite restaurants to see if they offer home delivery. 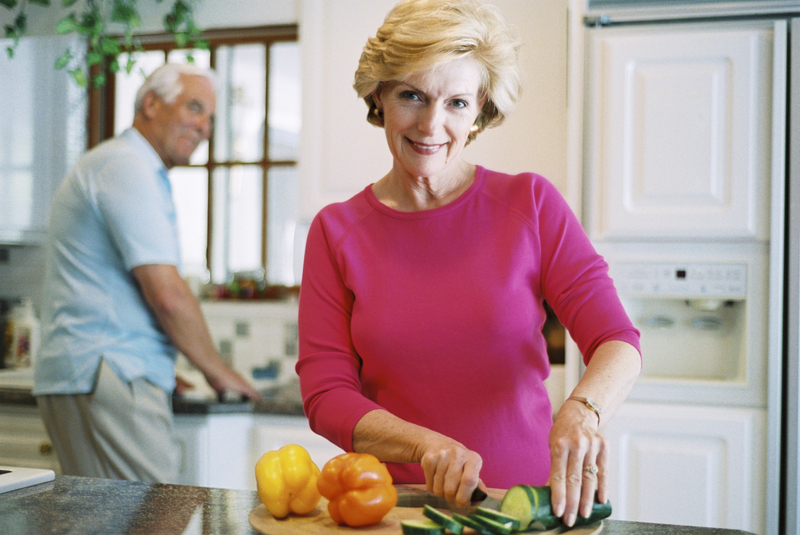 Another option for non-cooking seniors with a bigger budget is to hire a personal chef from time to time. A personal chef can provide your dad with a do-it-all service that will help plan his meals, do the grocery shopping and prepare him several weeks worth (or more) of tasty meals in his home, which he can freeze and eat whenever he wants. Or, they can prepare it in their own kitchen and deliver it. Chef’s fees range between $200 and $300 plus groceries. He may be able to save money by sharing meals with you or another family member, or a friend or neighbor. To find a personal chef in your dad’s area, check the listings at the American Personal & Private Chef Association (personalchef.com) or the United States Personal Chef Association (hireachef.com).